Xander and David, lovingly referred to as Dae, find themselves in the middle of an adventure that they probably won't forget. The house their family decided to buy is a house of a different color. 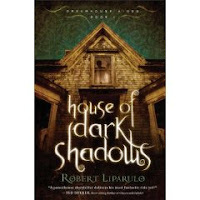 Or as the title implies: dark shadows. The linen closet leads to of all places.....school. And the secret passage they find leads to an attic with 20 rooms all of which have the same arrangement of a bench, a shelf, hooks and a locked door. But the theme of the items on the bench, self and hooks are different themes in each room. What did each of the items mean? Were the items more important than the rooms? I don't know that I have ever read any thing written by Mr. Liparulo. I did however, find him very descriptive; Detail is his cup of tea. You can imagine just exactly what he describes. A blind person would love his books for the fine descriptions. This book is a juvenile fiction and I believe any kid would be taken up as the mystery unfolds with each turn of the page. I had a hard time putting the book down at times. I can't wait to start book two to see how things turn out. Only one draw back I have was a few times the author did use some slang words. Go ahead take an adventure with two boys and their family, a house with many doors, rooms, and passageways, and an author with an imagination. Read the 1st chapter here and see if you aren't hooked. Oh, I'm so excited. I opened my blog page today and read winners chosen click for details. Guess what! My name was a winner. Oh, my daughter will love this. I can't wait til she gets up for me to tell her. What a way to start my day. So what did I win? 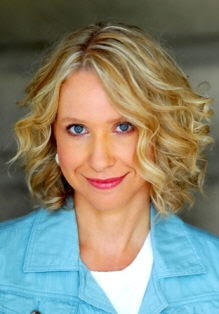 Francine Rivers began her literary career at the University of Nevada, Reno, where she graduated with a Bachelor of Arts degree in English and Journalism. From 1976 to 1985, she had a successful writing career in the general market and her books were awarded or nominated for numerous awards and prizes. Although raised in a religious home, Francine did not truly encounter Christ until later in life, when she was already a wife, mother of three, and an established romance novelist. Shortly after becoming a born-again Christian in 1986, Francine wrote Redeeming Love as her statement of faith. First published by Bantam Books, and then re-released by Multnomah Publishers in the mid- 1990s, this retelling of the biblical story of Gomer and Hosea set during the time of the California Gold Rush is now considered by many to be a classic work of Christian fiction. Redeeming Love continues to be one of the Christian Booksellers Association’s top-selling titles and it has held a spot on the Christian bestseller list for nearly a decade. Since Redeeming Love, Francine has published numerous novels with Christian themes – all bestsellers-- and she has continued to win both industry acclaim and reader loyalty around the globe. 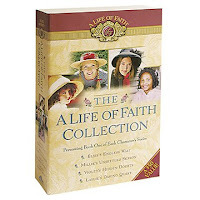 Her Christian novels have been awarded or nominated for numerous awards including the Rita Award, the Christy Award, the ECPA Gold Medallion, and the Holt Medallion in Honor of Outstanding Literary Talent. In 1997, after winning her third Rita award for Inspirational Fiction, Francine was inducted into the Romance Writers’ of America Hall of Fame. Francine’s novels have been translated into over twenty different languages and she enjoys best-seller status in many foreign countries including Germany, The Netherlands, and South Africa. Francine and her husband Rick live in Northern California and enjoy the time spent with their three grown children and every opportunity to spoil their four grandchildren. She uses her writing to draw closer to the Lord, and that through her work she might worship and praise Jesus for all He has done and is doing in her life. The city was silently bloating in the hot sun, rotting like the thou-sands of bodies that lay where they had fallen in street battles. An oppressive, hot wind blew from the southeast, carrying with it the putrefying stench of decay. And outside the city walls, Death itself waited in the persons of Titus, son of Vespasian, and sixty thou-sand legionnaires who were anxious to gut the city of God. Even before the Romans crossed the Valley of Thorns and camped on the Mount of Olives, warring factions within Jerusa-lem’s city walls had prepared the way for her destruction. Jewish robbers, who now fled like rats before the Roman legions, had recently fallen upon Jerusalem and murdered her prominent citizens, taking over the holy temple. Casting lots for the priesthood, they turned a house of prayer into a marketplace of tyranny. Fast behind the robbers came rebels and zealots. Directed by rival leaders—John, Simon, and Eleazar—the warring factions raged within the three walls. Swollen with power and pride, they sliced Jerusalem into bloody pieces. Breaking the Sabbath and the laws of God, Eleazar stormed Antonia Tower and murdered the Roman soldiers within it. Zealots rampaged, murdering thousands more who attempted to bring order back to a maddened city. Unlawful tribunals were set up and the laws of man and God mocked as hundreds of innocent men and women were murdered. Houses full of corn were burned in the chaos. Famine soon followed. In their despair, righteous Jews prayed fervently for Rome to come against the great city. For these Jews believed that then, and only then, would the factions within Jerusalem unite in one cause: freedom against Rome. Rome did come and, their hated ensigns held high, their war cry rang across all of Judea. They took Gadara, Jotapata, Beersheba, Jericho, Caesarea. The mighty legions marched in the very footsteps of devout pilgrims who came from every corner of the Jewish nation to worship and celebrate the high holy days of the Feast of the Unleavened Bread—the Passover. Innocent tens of thousands poured into the city and found themselves in the midst of civil war. Zealots closed the gates, trapping them inside. Rome came on until the sound of destruction echoed across the Valley of Kidron against the walls of Jerusalem itself. Titus laid siege to the ancient, holy city, determined to end Jewish rebellion once and forever. Josephus, the Jewish general of fallen Jotapata who had been taken captive by the Romans, wept and cried out from atop the first wall defeated by the legionnaires. With Titus’ permission, he pleaded with his people to repent, warning them that God was against them, that the prophecies of destruction were about to be fulfilled. Those few who listened to him and managed to evade the zealots in their escape reached the greedy Syrians—who dis-sected them for the gold pieces they had supposedly swallowed before deserting the city. Those who didn’t heed Josephus suffered the full fury of the Roman war machine. Having cut down every tree within miles, Titus built siege engines that hurled countless javelins, stones, and even captives into the city. From the Upper Market Place to the lower Acra and the Valley of Cheesemongers between, the city writhed in revolt. Inside the great temple of God, the rebel leader John melted down the sacred golden vessels for himself. The righteous wept for Jerusalem, the bride of kings, the mother of prophets, the home of the shepherd king David. Torn asunder by her own peo-ple, she lay gutted and helpless, awaiting her death blow from hated Gentile foreigners. Anarchy destroyed Zion, and Rome stood ready to destroy anarchy... anytime... anywhere. Hadassah held her mother, tears blurring her eyes as she stroked the black hair back from her mother’s gaunt, pale face. Her mother had been beautiful once. Hadassah remembered watching her take her hair down until it lay, glistening in thick waves, against her back. Her crowning glory, Papa called it. Now, it was dull and coarse, and her once-ruddy cheeks were white and sunken. Her stomach was swollen with malnutrition, the bones of her legs and arms clearly outlined beneath a gray overdress. Lifting her mother’s hand, Hadassah kissed it tenderly. It was like a bony claw, limp and cool. “Mama?” No response. Hadas-sah looked across the room at her younger sister, Leah, lying on a dirty pallet in the corner. Thankfully, she was asleep, the agony of slow starvation briefly forgotten. Hadassah stroked her mother’s hair again. Silence lay upon her like a hot shroud; the pain in her empty belly was almost beyond endurance. Only yesterday she had wept bitterly when her mother had uttered thanks to God for the meal Mark had been able to scavenge for them: shield leather from a dead Roman soldier. How long before they all died? Hananiah had spoken these words to her scant weeks ago— though now it seemed like an eternity. He had prayed all that morning, and she had been so afraid. She had known what he was going to do, what he had always done before. He would go out before the unbelievers and preach about the Messiah, Jesus of Nazareth. She wouldn’t release him. She knew they wouldn’t listen—they didn’t want to hear what he had to tell them. Simon’s men would slash him to pieces before the crowd as an example of what became of those who spoke for peace. It had happened to others. Her mother’s reprimand, though spoken gently, had struck hard. She had said many times before that when one did not serve the Lord, they unwittingly served the evil one instead. Fighting tears, Hadassah had obeyed and said no more. Rebekkah had laid her hand against her husband’s gray-bearded face. She had known Hadassah was right; he might not return, probably wouldn’t. Yet, perhaps, if it was God’s will, one soul might be saved through his sacrifice. One might be enough. Her eyes had been full of tears and she could not—dared not— speak. For if she had, she was afraid she would join Hadassah in pleading that he stay safe in this small house. And Hananiah knew better than she what the Lord willed for him. He had placed his hand over hers and she had tried not to weep. In the silence of the small room, Hadassah’s fear grew. She stroked her mother’s hair absently. Please, God. Please! Words wouldn’t come, at least not any that made sense. Just a groaning from within her soul. Please what? Kill them now with starvation before the Romans came with swords or they suffered the agony of a cross? Oh, God, God! Her plea came, inarticulate and des-perate, helpless and full of fear. Help us! Why had they ever come to this city? She hated Jerusalem. Hadassah fought against the despair inside her. It had become so heavy, it felt like a physical weight pulling her into a dark pit. She tried to think of better times, of happier moments, but those thoughts wouldn’t come. She thought of the months long ago when they’d made the journey from Galilee, never expecting to be trapped in the city. The night before they had entered Jerusalem, her father set up camp on a hillside within sight of Mount Moriah, where Abra-ham had almost sacrificed Isaac. He told them stories of when he was a boy living just outside the great city, speaking far into the night of the laws of Moses, under which he had grown up. He spoke of the prophets. He spoke of Yeshua, the Christ. Hadassah had slept and dreamt of the Lord feeding the five thousand on a hillside. Despite the persecution and danger that had awaited them in Jerusalem, her father had been full of joy and expectation as they entered the gates. Perhaps this time more of his kinsmen would listen; more would give their hearts to the risen Lord. For the following three days they had fasted and prayed and repeated Jesus’ teachings. On the third day, they sang and rejoiced, breaking bread together once more in celebration of Jesus’ resurrection. And every year, during the last hour of the gathering, her father would tell his own story. This year had been no different. Most had heard his story many times before, but there were always those who were new to the faith. It was to these people that her father spoke. He stood, a simple man with gray hair and beard, and dark eyes full of light and serenity. There was nothing remarkable about him. Even as he spoke, he was ordinary. It was the touch of God’s hand that made him different from others. “My father was a good man, a Benjaminite who loved God and taught me the law of Moses,” he began quietly, looking into the eyes of those who sat about him. “He was a merchant near Jerusalem and married my mother, the daughter of a poor hus-bandman. We were not rich and we were not poor. For all we had, my father gave glory and thanks to God. He closed his eyes. “Then a fever took hold of me. I struggled against death. I could hear my mother weeping and crying out to God. Lord, I prayed, don’t let me die. My mother needs me. Without me, she is alone, with no one to provide for her. Please do not take me now! But death came. It surrounded me like a cold darkness and took hold of me.” The hush in the room was almost tangible as his listeners awaited the ending. No matter how many times Hadassah had heard the story, she never tired of it nor lost the power of it. As her father spoke, she could feel the dark and lonely force that had claimed him. Chilled, she wrapped her arms around her legs and hugged them against her chest as he went on. Hadassah wanted to leap up and cry out in joy. Some of those around her wept, their faces transfixed with wonder and awe. Others wanted to touch her father, to lay hands on a man who had been brought back from death by Christ Jesus. And they had so many questions. How did you feel when you arose? Did you speak with him? What did he say to you? What did he look like? In the upper room, with the gathering of believers, Hadassah had felt safe. She had felt strength. In that place, she could feel the presence of God and his love. “He touched me and I arose.” God’s power could overcome anything. Then they would leave the upper room and, as her father walked the family back to the small house where they stayed, Hadassah’s ever-present fear would rise again. She always prayed her father wouldn’t stop and speak. When he told his story to believers, they wept and rejoiced. To unbelievers, he was an object of ridicule. The euphoria and security she felt with those who shared her faith dissolved when she watched her father stand before a crowd and suffer their abuse. They listened at first. He was an old man and they were curi-ous. Prophets were always a diversion. He was not eloquent like the religious leaders; he spoke simply from his heart. And always people laughed and mocked him. Some threw rotten vegetables and fruit, some called him mad. Others became enraged at his story of resurrection, shouting that he was a liar and blasphemer. Two years ago he had been so badly beaten that two friends had to help carry him back to the small rented house where they always stayed. Elkanah and Benaiah had tried to reason with him. Hadassah had wept, her hopes of leaving this wretched city dashed. Her faith was weak. Her father always forgave his tor-menters and attackers, while she prayed they would know all the fires of hell for what they had done to him. She often prayed that God would change his will and send her father to a place other than Jerusalem. Someplace small and peaceful where people would listen. “Hadassah, we know that God uses all things for good to those who love him, to those who are called according to his pur-pose,” her mother said often, trying to comfort her. In the peaceful hills of Galilee, with the blue sea stretched out before her and lilies of the field at her back, Hadassah could believe in God’s love. At home, in those hills, her faith was strong. It warmed her and made her heart sing. In Jerusalem, though, she struggled. She clung to her faith, but still found it slipping away from her. Doubt was her companion, fear was overwhelming. Hadassah sighed, trying to ignore the burning in her stomach. How she missed her father’s counsel in the silent loneliness of this house. If she believed everything he had taught her, she would rejoice that he was now with the Lord. Instead she ached with grief, which swelled and spilled over her in waves, spreading with it a strange, confused anger. Why did her father have to be such a fool for Christ? The peo-ple didn’t want to hear; they didn’t believe. His testimony offended them. His words drove them mad with hatred. Why couldn’t he, just once, have remained silent and stayed within the safe confines of this small house? He’d still be alive, here in this room, comforting them and giving them hope instead of leaving them to fend for themselves. Why couldn’t he have been sensible this one time and waited out the storm? He pushed the door closed and sank down, exhausted, against the wall near their sister. “What did you find?” She waited for him to take whatever he had found from his shirt. Whatever food was found had to be secreted or someone would attack him for it. Mark looked at her hopelessly. “Nothing. Nothing at all. Not a worn shoe, not even shield leather from a dead soldier. Noth-ing.” He started to cry, his shoulders shaking. “I’m not sure I want to know God’s will anymore,” she said without thinking. Quick tears came. “Mama said the Lord will provide,” she said, but the words sounded empty. Her faith was so weak. She was not like Father and Mother. Even Leah, young as she was, loved the Lord wholeheartedly. And Mark sounded so accepting of death. Why was she always the one who questioned and doubted? Have faith. Have faith. When you have nothing else, have faith. Hadassah shut her eyes tightly, but the question rose stark and raw against her will. Had her father been cast into that place, des-ecrated and left to rot in the hot sun? She bit her lip and tried to force the thought away. “And us along with them.” She shivered. “They will not know the difference between believers of the Way and zealots, will they? The siege wore on, and while life within Jerusalem ebbed, the spirit of Jewish resistance did not. Hadassah remained within the small house, hearing the horror of what was just beyond their un-bolted door. A man was screaming and running down the street. When Mark went out to find out what was happening, Leah became hysterical. Hadassah went to her sister and held her tightly. She felt near to hysteria herself, but tending her young sis-ter helped calm her. “Everything will be all right, Leah. Be still.” Her words sounded meaningless in her own ears. “The Lord is watching over us,” she said and stroked her sister gently. A litany of comforting lies, for the world was crumbling around them. Hadassah looked across the room at her mother and felt the tears coming again. Her mother smiled weakly as though trying to reassure her, but she felt no reassurance. What would become of them? When Mark returned, he told them of the battle raging within the walls. The Jews had turned it and were driving the Romans back. However, that night, under the cover of darkness, ten legion-naires sneaked through the ruins of the city and took possession of Antonia Tower. The battle had come to the very entrance of the holy temple. Though driven back again, the Romans coun-tered by overthrowing some of the foundations of the tower and laid open the court of the Gentiles. In an attempt to divert them, zealots attacked the Romans at the Mount of Olives. Failing, they were destroyed. The prisoners taken were crucified before the walls for all to see. Stillness fell again. And then a new, more devastating horror spread through the city as word passed of a starving woman who had eaten her own child. The flame of Roman hatred was fanned into a blaze. Josephus cried out again to his people that God was using the Romans to destroy them, fulfilling the prophecies of the prophets Daniel and Jesus. The Jews gathered all the dry materials, bitu-men, and pitch they could find and filled the cloisters. The Romans drove forward, and the Jews gave ground, luring the Romans into the temple. Once inside, the Jews set their holy place on fire, burning many of the legionnaires to death within it. Titus regained control of his enraged soldiers and ordered the fire put out, but no sooner had they succeeded in saving the tem-ple than the Jews attacked again. This time all the officers of Rome couldn’t restrain the fury of the Roman legionnaires who, driven by a lust for Jewish blood, once again torched the temple and killed every human being in their path as they began plunder-ing the conquered city. Men fell by the hundreds as flames engulfed the Babylonian curtain, embroidered with fine blue, scarlet, and purple thread. High on the temple roof, a false prophet cried out for the people to climb up and be delivered. People’s screams of agony as they burned alive carried across the city, mingling with the horrifying sounds of battle in the streets and alleys. Men, women, children— it made no difference, all fell to the sword. Hadassah tried to shut it out of her mind, but the sound of death was everywhere. Her mother died on the same hot August day that Jerusalem fell, and for two days, Hadassah, Mark, and Leah waited, knowing the Romans would find them sooner or later and destroy them as they were destroying everyone else. Someone fled down their narrow street. Others screamed as they were cut down without mercy. Hadassah wanted to jump up and run away, but where could she go? And what of her sister and her brother? She pressed further back into the darkening shadows of the small rooms and held Leah. More men’s voices. Louder. Closer. A door was smashed open not far away. The people inside screamed. One by one, they were silenced. Weak and gaunt, Mark struggled to his feet and stood before the door, praying silently. Hadassah’s heart beat heavily, her empty stomach tightening into a ball of pain. She heard men’s voices in the street. The words were Greek, the tone scornful. One man gave orders to search the next houses. Another door was smashed in. More screams. “Close your eyes, Hadassah,” Mark told her, sounding strangely calm. “Remember the Lord,” he said as the door crashed open. Mark uttered a harsh, broken sound and dropped to his knees. A bloody sword tip protruded from his back, stain-ing the gray tunic red. Leah’s high-pitched scream filled the small room. The Roman soldier kicked Mark back, freeing his sword. Hadassah could not utter a sound. Staring up at the man, his armor covered with dust and her brother’s blood, Hadassah couldn’t move. His eyes glittered through his visor. When he stepped forward, raising his bloody sword, Hadassah moved swiftly and without conscious thought. She shoved Leah down and fell across her. Oh, God, let it be over quickly, she prayed. Let it be swift. Leah fell silent. The only sound was that of the sol-dier’s rasping breathing, mingled with screams from down the street. Tertius gripped his sword harder and glared down at the ema-ciated young girl covering an even smaller girl. He ought to kill them both and have done with it! These bloody Jews were a blight to Rome. Eating their own children! Destroy the women and there would be no more warriors birthed. This nation deserved annihilation. He should just kill them and be done with it. The older girl looked up at him, her dark eyes full of fear. She was so small and thin, except for those eyes, too large for her ashen face. Something about her sapped the killing strength of his arm. His breathing eased, his heartbeat slowed. He tried to remind himself of the friends he had lost. Diocles had been killed by a stone while building the siege works. Malcenas had been fallen upon by six fighters when they had breached the first wall. Capaneus had burned to death when the Jews had set fire to their own temple. Albion still suffered wounds from a Jew’s dart. Yet, the heat in his blood cooled. Shaking, Tertius lowered his sword. Still alert to any move-ment the girl made, he glanced around the small room. His vision cleared of the red haze. It was a boy he had killed. He lay in a pool of blood beside a woman. She looked peaceful, as though she merely slept, her hair carefully combed, her hands folded on her chest. Unlike those who had chosen to dump their dead in the wadi, these children had lain out their mother with dignity. He had heard the story of a woman eating her own child and it had fed his hatred of Jews, gained from ten long years in Judea. He had wanted nothing more than to obliterate them from the face of the earth. They had been nothing but trouble to Rome from the beginning—rebellious and proud, unwilling to bend to anything but their one true god. One true god. Tertius’ hard mouth twisted in a sneer. Fools, all of them. To believe in only one god was not only ridiculous, it was uncivilized. And for all their holy protestations and stubborn persistence, they were a barbaric race. Look what they had done to their own temple. How many Jews had he killed in the last five months? He hadn’t bothered to count as he went from house to house, driven by bloodlust, hunting them down like animals. By the gods, he had relished it, accounting each death as a small token payment for the friends they had taken from him. Why did he hesitate now? Was this pity for a foul Jewess brat? It would be merciful to kill her and put her out of her misery. She was so thin from starvation that he could blow her over with a breath. He took another step toward her. He could kill both girls with one blow... tried to summon the will to do so. The girl waited. It was clear she was terrified, yet she did not beg for mercy as so many had done. Both she and the child beneath her were still and silent, watching. Hadassah knew Greek. It was a common language among the Roman legionnaires and so was heard all over Judea. She started to cry. He grasped her arm and yanked her to her feet. Tertius looked at the little girl lying on the floor. Her eyes were open and fixed on some distant place to which her mind had escaped. It was not the first time he had seen such a look. She would not last long. “Leah,” Hadassah said, frightened at the vacant look in her eyes. She bent down and put her arms around her. “My sister,” she said, trying to draw her up. Tertius knew the little girl was as good as dead already and it would make more sense to leave her. Yet, the way the older girl tried to gather the child in her arms and lift her, roused his pity. Even the child’s slight weight was too much for her. Brushing her aside, Tertius lifted the tiny girl easily and gently slung her over his shoulder like a sack of grain. Grasping the older girl by the arm, he pushed her out the door. The street was quiet, the other soldiers having moved on. Dis-tant cries rang out. He walked quickly, aware that the girl was struggling to keep up. The air of the city was foul with death. Bodies were every-where, some slain by Roman soldiers pillaging the conquered city, others dead of starvation, now bloated and decaying from days of being left to putrefy. The look of horror on the girl’s face made Tertius wonder how long she had been cooped up in that house. “Your great Holy City,” he said and spat into the dust. Pain licked up Hadassah’s arm as the legionnaire’s fingers dug into her flesh. She stumbled over a dead man’s leg. His face was crawling with maggots. The dead were everywhere. She felt faint. The farther they walked, the more horrifying the carnage. Decaying bodies lay tangled together like slaughtered animals. The stench of blood and death was so heavy Hadassah covered her mouth. “Where do we take captives?” Tertius shouted at a soldier sep-arating the dead. Two soldiers were lifting a Roman comrade from between two Jews. Other legionnaires appeared with plun-der from the temple. Wagons were already loaded with golden and silver sprinkling bowls, dishes, wick trimmers, pots, and lampstands. Bronze shovels and pots were piled up, as well as basins, censers, and other articles used in temple service. Hadassah looked up at the temple’s once pristine marble, the marble that had appeared as a snow-covered mountain in the dis-tance. It was blackened, chunks had been gouged out by siege stones, the gold melted away. Whole sections of wall were broken down. The holy temple. It was just another place of death and destruction. She moved sluggishly, sickened and terrified at all she saw. Smoke burned her eyes and throat. As they walked along the wall of the temple, she could hear a rising, undulating sound of horror coming from within it. Her mouth was parched and her heart pounded harder and faster as they approached the gate to the Women’s Court. Thousands of survivors were within the court, some moaning in their misery and others wailing for their dead. The soldier pushed her ahead of him through the gate, and she saw the ragged multitude before her. They crowded the courtyard. Most were gaunt with starvation, weak, hopeless. Tertius lowered the child from his shoulder. Hadassah caught hold of Leah and tried to support her. She sank down weakly and held her sister limply across her lap. The soldier turned and walked away. Thousands milled around, looking for relatives or friends. Others huddled in smaller groups weeping, while some, alone, stared at nothing—as Leah did. The air was so hot Hadassah could hardly breathe. A Levite rent his worn blue and orange tunic and cried out in an agony of emotion, “My God! My God! Why hast thou for-saken us?” A woman near him began to wail miserably, her gray dress bloodstained and torn at the shoulder. An old man wrapped in black-and-white striped robes sat alone against the court wall, his lips moving. Hadassah knew he was of the Sanhedrin, his robes symbolizing the desert costume and the tents of the first patriarchs. Mingled among the crowd were Nazirites with their long, braided hair, and zealots with dirty, ragged trousers and shirts over which they wore short sleeveless vests with a blue fringe at each corner. Divested of their knives and bows, they still looked menacing. A fight broke out. Women began screaming. A dozen Roman legionnaires waded into the multitude and cut down the adversar-ies, as well as several others whose only offense was to be in close proximity. A Roman officer stood on the high steps and shouted down at the captives. He pointed out several more men in the crowd and they were dragged away to be crucified. Hadassah managed to draw Leah up and move to a safer place by the wall, near the Levite. As the sun went down and darkness came, she held Leah close, trying to share her warmth. But in the morning, Leah was dead. Her sister’s sweet face was free of fear and suffering. Her lips were curved in a gentle smile. Hadassah held her against her chest and rocked her. Pain swelled and filled her with a despair so deep she couldn’t even cry. When a Roman soldier came over, she scarcely noticed until he tried to take Leah away from her. She held her sister tighter. Hadassah pressed her face into the curve of her sister’s neck and moaned. The Roman had seen enough death to become hard-ened by it. He struck Hadassah once, breaking her hold, and then kicked her aside. Dazed, her body laced with pain, Hadassah stared helplessly as the soldier carried Leah to a wagon stacked with the bodies of others who had died during the night. He tossed her sister’s fragile body carelessly onto the heap. Shutting her eyes, Hadassah drew up her legs and wept against her knees. The days ran together. Hundreds died of starvation, more of despair and lost hope. Some of the able-bodied captives were taken to dig mass graves. Rumors spread that Titus had given orders to demolish not only the temple but the entire city. Only the Phasaelus, Hippicus, and Mariamne towers were to be left standing for defensive pur-poses, and a portion of the western wall. Not since the Babylo-nian king Nebuchadnezzar had destroyed Solomon’s temple had such a thing happened. Jerusalem, their beloved Jerusalem, would be no more. The Romans brought in corn for the captives. Some Jews, still stiff-necked against Roman rule, refused their portions in a last and fatal act of rebellion. More grievous were the sick and weak who were denied food because the Romans did not wish to waste corn on those who would not likely survive the coming march to Caesarea. Hadassah was one of the latter, and so received no food. One morning, Hadassah was taken with the others outside the city walls. She stared with horror at the scene before her. Thousands of Jews had been crucified before the crumbling walls of Jerusalem. Scavenging birds feasted upon them. The ground on the siege work had drunk in so much blood it was as red-brown and hard as brick, but the land itself was beyond anything Hadassah had expected. Other than the great, gruesome forest of crosses, there was not a tree, nor a bush, nor even a blade of grass. A wasteland lay before her, and at her back was the mighty city even now being reduced to rubble. “Keep moving!” a guard shouted, his whip hissing through the air near her and cracking on a man’s back. Another man ahead of her groaned deeply and collapsed. When the guard drew his sword, a woman tried to stop him, but he struck her down with his fist, then with one swift stroke, opened an artery in the fallen man’s neck. Taking the twitching man by his arm, he dragged him to the edge of the siege bank and pushed him over the side. The body rolled slowly to the bottom, where it took its place in the rocks amongst other corpses. Another captive helped the weeping woman to her feet, and they went on. Their captors sat them within sight and sound of Titus’ camp. “It would seem we must suffer through a Roman triumph,” a man said bitterly, the blue tassels on his vest identifying him as a zealot. “Be silent or you will be crow bait like those other poor fools,” someone hissed at him. As the captives watched, the legions formed and marched in tightly drilled units before Titus, who was resplendent in his golden armor. There were more captives than soldiers, but the Romans moved as one great beast of war, organized and disci-plined. To Hadassah, the rhythmic cadence of thousands of men marching in perfect formation was terrifying to watch. A single voice or signal could make hundreds move as one. How could any people think they could overcome such as these? They filled the horizon. Titus gave a speech, pausing now and then as the soldiers cheered. Then the awards were presented. Officers stood before the men, their armor cleaned and gleaming in the sunlight. Lists were read of those who had performed great exploits in the war. Titus himself placed crowns of gold on their heads and golden ornaments about their necks. To some he gave long golden spears and silver ensigns. Each was awarded the honor of removal to higher rank. Hadassah looked around at her fellows and saw their bitter hatred; having to witness this ceremony poured salt in their open wounds. Heaps of spoils were distributed among the soldiers, then Titus spoke again, commending his men and wishing them great for-tune and happiness. Jubilant, the soldiers cried out their acclama-tions to him time and time again as he came down among them. Finally, he gave orders that the feasting begin. Great numbers of oxen were held ready at the altars to the Roman gods, and at Titus’ command they were sacrificed. Hadassah’s father had told her Jewish law required the shedding of blood as an atonement for sin. She knew priests within the holy temple performed the sacrifices daily, a constant reminder of the need for repentance. Yet her father and mother had taught her from birth that Christ had shed his blood as an atonement for the sins of the world, that the law of Moses had been fulfilled in him, that animal sacrifices were no longer needed. So she had never seen animals sacrificed. Now she watched in grim horror as one ox after another was killed as a thank offering. The sight of so much blood spilling down over stone altars sickened her. Gagging, she closed her eyes and turned away. The slain oxen were distributed to the victorious army for a great feast. The tantalizing aroma of roasting beef drifted to hun-gry captives across the night air. Even had they been offered some, righteous Jews would have refused to eat it. Better dust and death than meat sacrificed to pagan gods. At last, soldiers came and ordered the captives to line up for their rations of wheat and barley. Weakly, Hadassah rose and stood in the long line, sure she would again be denied food. Her eyes blurred with tears. Oh, God, God, do as you will. Cupping her hands as her turn came, she waited to be shoved aside. Instead, golden kernels spilled from the scoop into her palms. She looked up into the young soldier’s eyes. His face, weath-ered from the Judean sun, was hard, devoid of any emotion. “Thank you,” she said in Greek and with simple humility, with-out even a thought as to who he was or what he might have done. His eyes flickered. Someone shoved her hard from behind and cursed her in Aramaic. As she moved away, she was unaware the young soldier still watched her. He dipped the scoop into the barrel again, pouring corn into the hands of the next in line without taking his eyes from her. She opened her eyes and opened her hands again. “The Lord provides,” she said softly and ate slowly, savoring each kernel. As the sun went down, Hadassah felt oddly at peace. Even with all the destruction and death around her, with all the suffer-ing ahead, she felt God’s nearness. She looked up at the clear night sky. The stars were bright and a wind blew softly, remind-ing her of Galilee. The night was warm...she had eaten . . . she would live. “God always leaves a remnant,” Mark had said. Of all the mem-bers of her family, her faith was weakest, her spirit the most doubting and the least bold. Of all of them, she was least worthy. Tina Ann Forkner writes contemporary fiction that challenges and inspires. Originally from Oklahoma, she graduated with honors in English from CSU Sacramento before ultimately settling in the wide-open spaces of Wyoming where she now resides with her husband and their three children. Tina serves on the Laramie County Library Foundation Board of Directors and enjoys gardening, spending time outdoors with her family, and works as a full-time writer. 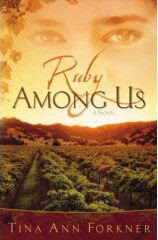 In Ruby Among Us, Lucy DiCamillo is safely surrounded by her books, music, and art─but none of these reclusive comforts or even the protective efforts of her grandmother, Kitty can shield her from the memory of the mother she can no longer remember. Lucy senses her grandmother holds the key, but Kitty seems as eager to hide from the past as Lucy is eager to find it. From the streets of San Francisco and Sacramento, to the lush vineyards of the Sonoma Valley, Lucy follows the thread of memory in search for a heritage that seems long-buried with her mother, Ruby. What she finds is enigmatic and stirring in this redemptive tale about the power of faith and mother-daughter love. This was my first book to read of Mr. Parsons'. I enjoyed the read. He was very informative in how we can help to bring our wayward back in line again or better yet how we can keep them from going astray maybe. Mr. Parsons did have many good points in his book and not to get into too much theology there were some points I didn't agree with. The Bible does stress the issue of church discipline and separation; also there are principals in the Bible laid down for any who desire to have a leadership role in the church. I feel these requirements should be met for some leadership positions: pastors, deacons, etc. However, I do agree there are some things that can be more of a personal preferences than Bible principals that we don't have to be so hard on people about. I can see where Mr. Parsons is coming from in the fact that we as a church could cause some prodigals. My view if the Bible doesn't make it an issue why should I? Live by the Bible and you won't go wrong. 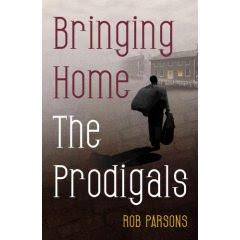 Mr. Parsons does have good ideas concerning prodigals so maybe you should just read the book for yourself and see what you think. It isn't a long book 120 pages and that is counting blank pages between some chapters. Very easy reading. Read an author interview and the first chapter Here. Rob Parsons, a lawyer by profession, has subsequently become a wellknown author and speaker on family issues. Drawing from his own experiences of family life, and often joined by his wife Dianne, he has addressed over 500,000 people in facetoface events. In 1988, Rob launched Care for the Family, a registered charity motivated by Christian compassion. The resources and support offered are available to everyone, of any faith or none. Q: You have presented the message of this book to heartbroken people around the world. Was their suffering the driving force behind the writing of this book? A: Well, it’s true that I have never been able to get some of those people out of my mind. But this message is not just for those whose hearts are breaking for their prodigals. In fact, Bringing Home the Prodigals is not just about praying for our prodigals to come home. It is about asking us to consider the characters of our local churches. Is it possible that by our attitudes, our concern with rules and regulations that are not on God’s heart, or by our ingrained spirit of the elder brother (or sister!) from Christ’s parable of the prodigal son, we have made it easy for some to leave? Perhaps we have kept them out of mind while they are gone and, tragically, made it harder for them to return. Could it be that we have inadvertently “created” prodigals? Q: How does this message apply to Christians who may not personally be dealing with a prodigal situation in their family? A: The message of Bringing Home the Prodigals should catch the imagination of all who care about evangelism. The truth is, most of us know ten people who may never have been to a church whom we’d like to invite to an evangelistic service—but we all know a hundred prodigals. The numbers are enormous. When the prodigals come home, we are going to have to pull down our old church buildings and use aircraft hangars. If you care about church growth, then care about His message. There is nothing as frustrating as seeing people come to Christ through the front door of the church and losing others in almost the same proportion out the door at the back. Q: What do you hope to accomplish in the lives of those who will read this book? A: This book is not written principally to give advice, although I will share the lessons I have learned from many whose hearts have cried out to God for those they love. My hope is that it will be a book that will release readers from false guilt stemming from their prodigal’s choices, bring them hope of their cherished one’s eventual return, and, above all, lead them to prayer. At the end of every chapter is a prayer and reflection; each one is written by someone who has cried for a prodigal and who has come to believe that, ultimately, God is our only hope. At the very end of the book, we will each bring our prodigals to the cross of Christ, just as thousands of people have done in Bringing Home the Prodigals events around the world. Q: How do churches “create” prodigals? A: It is a great tragedy that in the modern church so often we judge each other by rules and regulations we have devised ourselves, which have nothing to do with following Christ. So often, it is with this unwritten code that we “create” our prodigals. Each of us is tied more closely to our culture than we can possibly imagine. Sometimes this cultural perspective allows a person to be written off as a prodigal for something that is completely acceptable in another cultural setting. My American friend Dr. R.T. Kendall summed it up for me. He told me that when a group of German Christians saw some American Christians with all their gold and diamonds on, they were so shocked they dropped their cigars in their beer. Q: In the context of this book, what does it really mean for a prodigal to “come home”? A: I believe that church attendance is important—almost every Sunday of my life I am in my own church—but church attendance is not the only way to decide whether someone is a prodigal or not. In Christian circles, we tend to assume that following Christ and being a church attendee are essentially the same thing. But there are other important factors to consider. Does this person love Christ? Does he care for the poor? Does she stand up for injustice when she sees it? Can he forgive, or does he harbor grudges? Is there any evidence that slowly she is becoming a little more like the One she follows? We desperately need God’s wisdom in dealing with this. We dare not get it wrong, for if we do, we not only allow some in deep spiritual need to remain in their complacency, but we also drive away those who never did turn their back on God at all. I fear there are many children who hear regularly from their parents that they are praying for them to return to God but who really need to hear their encouragement for the things they are doing that please God. Q: Who, if anyone, is really to blame for a prodigal child’s rebellion? Why do you feel it is so crucial for parents to release the false guilt they feel over the children’s choices? A: Just like the prodigal son in Jesus’ story, our children are capable of making a decision—and they do sometimes decide to turn their backs on the Father and His house. Yet in spite of the fact that our children make their own choices, we often feel the guilt ourselves. So many parents are carrying a heavy load of guilt they have no need to bear. That’s not to say they have been perfect parents. They have just been parents—parents who have given this task their very best efforts. Even if they had the chance to go back and start over, the truth is they’d probably just make different mistakes. And what if they could have been perfect parents? Adam and Eve had the perfect father and lived in the perfect environment, but they chose a way their father didn’t want them to go. It’s time for parents to lay that guilt down. They have carried it long enough. By all means, they should ask forgiveness for those things they know they have done wrong as a parent. Then they can join the rest of us who have loved and guided our children as much as we could, but who, in the end, have to watch as they make their own decisions. Q: What role does forgiveness play in a prodigal’s homecoming? A: Although we love them, we sometimes still have to forgive our prodigals, for they may have treated us badly. They may have thrown our love, care, and most fervent desire for their good straight back in our faces. And we must forgive even while they are still hurting us. We may want to say, “If only he would stop that lifestyle, or give up drinking or the drugs,” or “If only she would get rid of the man who seems to be draining her of life, then we would forgive,” but we must forgive even when there is no evidence that they may change. What is the alternative to forgiveness? It is rejection. And rejection often brings with it isolation, bitterness, and a pushing even further away of those we are trying to draw back. Forgiveness allows us to go on loving. But it is not Disney World. Forgiveness finds itself in the real world of deep hurts, dashed hopes, and broken promises. But there is no hope for our prodigals without it. And there may be another who needs forgiveness, for there are moments when we may have wronged our children. It may be hard to ask forgiveness of someone who is hurting you so much, but it is such a powerful thing to do. Sometimes it robs our prodigals of the very reason for their rebellion. Sometimes God ambushes us: it happened to me on March 14, 1998. I had been invited to speak at the National Exhibition Center in the UK to thousands of people who had gathered to pray for the return of their prodigals. I had prepared a message based on the timeless parable of the lost son, and it was folded securely in the inside pocket of my jacket. I believed I was ready to deliver God’s word. I have been at many Christian events over the years, but I have never experienced the wave of emotion that filled the auditorium that day. The organizers had seated my wife, Dianne, and me on the platform, and as I gazed out at that vast audience, I couldn’t help but wonder what stories lay behind the prayers. And somewhere there was a father who had told his tiny daughter Bible stories. She had picked one each night from the huge children’s Bible they kept on the shelf in her bedroom. They had said prayers together, and he had always been touched that, from her youngest days, she had prayed for others more than herself. But as he prayed in the auditorium that day, he thought of her later teenage years and the gradual disinterest in anything to do with God. A great sobbing convulsed his body as he remembered the night he found the drugs in her bedroom and, finally, the day she left, cursing both him and God. These people had gathered, every one of them with a prodigal on their hearts: friends, brothers, husbands, wives, and sometimes in a strange reversal of the parable, mothers and fathers—but mostly children. But that great arena did not hold only people praying. In the very front was a huge wooden cross. Its shadow seemed to reach over the whole crowd. During the day, people were invited to write the name of their prodigal on a small card, bring it to the front, and lay it at the foot of the cross. I watched them as they came: young people bringing the names of school friends, married couples holding hands as they laid down the names of children, friends walking together clutching cards, and often the elderly, shuffling forward and bending slowly as they lay the names of those they loved at the cross. After an hour or so one of the organizers asked me if I would leave the platform and stand by the cross to pray with some of those who were coming forward. Of course I agreed and made my way to the floor of the arena and to the cross. That’s when God ambushed me. What occurred in the next two minutes changed my life forever and was the impetus that was to take the message of “Bringing Home the Prodigals” around the world. When I reached the cross there were tens of thousands of names there. They were written on cards that were spilling off the little table at the foot of the cross and onto the floor. I picked up and read some of them: “Jack” “Milly” “Bring Charles home, Lord.” It seemed to me that the pain of the world lay at the foot of that cross. I thank God for what he has done in the lives of our two children, but at that time Dianne and I had heavy hearts for them, and I remember laying Katie’s name at the foot of the cross and Lloyd’s name next to hers. And then I started to cry. I could not stop. As I wept, God laid a message about prodigals on my heart that I first preached later that day. It was not the neat, nicely wrapped-up one with all the answers—that was in my pocket. It was a message forged from brokenness and a sense of utter dependence on God. As I finished speaking that day, I remember thinking that one day I would put it into a book. But life for all of us is busy and the book was never started. And then one day, as part of some routine tests, the doctors found a possible abnormality with one of my kidneys. They feared it was a tumor. I had about ten days to wait for the results of the tests that would determine what the problem was. On one of those days I found myself ambling along a London street. It was a wonderful spring morning; on such days, London is at its best. The air was crisp, the sky blue, and behind me the sun shone off Westminster Abbey and St. Margaret’s Chapel as I made my way past Churchill’s War Rooms and into St. James’ Park. The park was almost deserted, and the pigeons, squirrels, and I looked at each other as if there was little else of interest. Never does life become as precious as when you think it may be suddenly shortened. I began to think about things that really mattered to me. The message of the prodigals came to my mind, and I knew I had to get that book written. I started it that week. A few days later the test results came and were favorable: I did not have a tumor—just an over-sized kidney that I’d probably had all my life. A few months later the book was written. But that was only the beginning. Over the following few years in auditoriums all across the United Kingdom, more than fifty thousand people have experienced a Bringing Home the Prodigals event. Even now in my mind’s eye, I can picture them listening to the message and bringing the names of their prodigals to the foot of the cross. We began to hear the most remarkable stories of prodigals coming back to God. Since then we have been taking Bringing Home the Prodigals all over the world. I have watched people stream forward to lay the names of their prodigals at the cross in Costa Rica, Uganda, South Africa, Malaysia, Singapore, Borneo, Australia, New Zealand, Ireland, and North America. This little book contains the heart of the message of Bringing Home the Prodigals I believe God has laid on my heart. I warn you now; it is a simple message. Most of us feel we know the parable so well that there is hardly anything new we could learn. Maybe this is true, but God wants to remind us of what we knew in our hearts all along—and somehow forgot. In a village near here, is a large old house. An elderly lady lives there alone and every night, as darkness falls, she puts a light on in the attic. Her son left home twenty-five years ago, rather like the prodigal in the parable, but she has never given up the hope that one day he will come home. We all know the house well, and although the bulb must occasionally need replacing, none of us have ever seen that house without a light on. It is for her son. The theme of “leaving a light on” has become a recurring one in the letters and emails I have received from all over the world from those who wait for a prodigal’s return. Shortly after one of the Bringing Home the Prodigals events, a woman wrote to me. She told me that her daughter had walked out of their home when she was eighteen years old. She had turned her back not only on her mother and father, but on the God she had once loved. “My daughter didn’t get in touch, and we didn’t know whether she was alive or dead,” the woman wrote. She went on to tell me that every night, as she and her husband turned off the lights before they went to bed, she would always say to him, “Leave the porch light on.” And every Christmas, she would put a little Christmas tree in the front of the house, its lights shining, just as she used to when her daughter was at home. I have never been able to get that mother out of my mind. She seems to me to symbolize the hopes, fears, and prayers of millions across the world whose hearts are breaking for their prodigals. But this is not just a message for them; in fact Bringing Home the Prodigals is not just about praying for our prodigals to come home. It is about asking us to consider the characters of our local churches. Is it possible that by our attitudes, our concern with rules and regulations that are not on God’s heart, or by our ingrained spirit of the elder brother (or sister!) we have made it easy for some to leave? Perhaps we have kept them out of mind while they are gone and tragically made it harder for them to return. Could it be that inadvertently we have “created” prodigals? This is a theme that should catch the imagination of all who care about evangelism. The truth is, most of us know ten people who may have never been to church whom we’d like to invite to an evangelistic service—but we all know a hundred prodigals. The numbers are enormous. When the prodigals come home we are going to have to pull down our old church buildings and use aircraft hangers. If you care about church growth, then care about this message. There is nothing as frustrating as seeing people come to Christ through the front door of the church and losing others in almost the same proportion out the door in the back. All over the world I have cried with parents for their prodigals. There is no more fervent prayer in homes today than, “Father, bring our prodigal home.” I have concentrated in this book on those who have children, of whatever age, who are prodigals, but of course there are many kinds of prodigals—brothers, sisters, husbands, wives, and friends. I hope with all my heart that for whomever you are concerned, you will find something here to encourage you and keep the flames of hope alight. This book is not written principally to give advice, although I will share with you the lessons I have learned from many whose hearts have cried out to God for those they love. My hope is that it will be a book that will release us from false guilt, bring us hope, and above all, lead us to prayer. At the end of every chapter is a prayer and reflection; each one is written by someone who has cried for a prodigal and who has come to believe that, ultimately, God is our only hope. At the very end of the book we will each bring our prodigals to the cross of Christ. And we should not pray just for our prodigals, but for ourselves as well. We can pray that we will catch the Father’s heart for the prodigals—the outrageous grace of the One who, even as we stumble down the long road home, runs to throw a robe on our back, put a ring on our finger, and put shoes on our feet. And if we do change, if we can catch something of that father-heart of God, then it may be that, in his great mercy, he will touch the lives of thousands of our prodigals—and bring them home. It was Frugal Friday on Simply Susan's blog and she loaded up with wonderful websites to visit of all kinds of things to read. Millions of things to Read; Free on-line reading now how about that. I just couldn't pass it up. I had to pass it on to other readers so they come get in on the knowledge that reading can give. Here is what Susan has to say. You can find a ton of free stuff online! Resources like An Old Fashioned Education are indespensible! There are tons of free books online, many old textbooks which are great for homeschooling. I've complied a list of websites that offer these free books & texts. 49. Project Gutenberg - HUGE ASSORTMENT OF BOOKS!!! 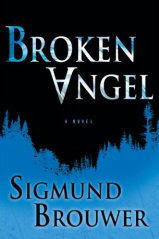 Sigmund Brouwer is the author of eighteen best-selling novels for children and adults. His newest book is Fuse of Armageddon and his novel The Last Disciple was featured in Time magazine and on ABC’s Good Morning America. A champion of literacy, he teaches writing workshops for students in schools from the Arctic Circle to inner city Los Angeles. Sigmund is married to Christian recording artist Cindy Morgan, and they and their two daughters divide their time between homes in Red Deer, Alberta, Canada and Nashville, Tennessee. Her birth was shrouded in mystery and tragedy. Her destiny is beyond comprehension. Her pursuers long to see her broken. A father's love for his daughter…a decision that would change both their lives forever. But who is she really─and why must she now run for her life? Caitlin's body has made her an outcast, a freak, and the target of vicious bounty hunters. As she begins a perilous journey, she is forced to seek answers for her father's betrayal in the only things she can carry with her─a letter he passes her before forcing her to run, and their shared memories together. Being hunted forces Caitlyn to partner with two equally lonely companions, one longing to escape the horror of factory life in Appalachia and the others, an unexpected fugitive. Together the three will fight to reach a mysterious group that might be friend or foe, where Caitlyn hopes to uncover the secrets of her past...and the destiny she must fulfill. In the rough, shadowy hills of Appalachia, a nation carved from the United States following years of government infighting, Caitlyn and her companions are the prey in a terrifying hunt. They must outwit the relentless bounty hunters, skirt an oppressive, ever-watchful society, and find passage over the walls of Appalachia to reveal the dark secrets behind Caitlyn’s existence–and understand her father’s betrayal. Prepare yourself to experience a chilling America of the very near future, as you discover the unforgettable secret of the Broken Angel. In this engrossing, lightning-paced story with a post-apocalyptic edge, best-selling author Sigmund Brouwer weaves a heroic, harrowing journey through the path of a treacherous culture only one or two steps removed from our own. If you would like to read the first chapter, go HERE. It's May 21st, time for the Teen FIRST blog tour! (Join our alliance! Click the button!) Every 21st, we will feature an author and his/her latest Teen fiction book's FIRST chapter! Robert Liparulo is an award-winning author of over a thousand published articles and short stories. He is currently a contributing editor for New Man magazine. 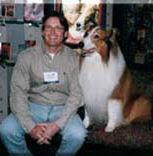 His work has appeared in Reader's Digest, Travel & Leisure, Modern Bride, Consumers Digest, Chief Executive, and The Arizona Daily Star, among other publications. In addition, he previously worked as a celebrity journalist, interviewing Stephen King, Tom Clancy, Charlton Heston, and others for magazines such as Rocky Road, Preview, and L.A. Weekly. He has sold or optioned three screenplays. The walls of the house absorbed the woman’s screams, until they felt to her as muffled and pointless as yelling underwater. Still, her lungs kept pushing out cries for help. Her attacker carried her over his shoulder. The stench of his sweat filled her nostrils. He paid no heed to her frantic writhing, or the pounding of her fists on his back, or even her fingernails, which dug furrows into his flesh. He simply lumbered, as steadily as a freight train, through the corridors of the big house. She knew where they were heading, but not where she would end up. In this house, nothing was normal, nothing as it appeared. So while she knew in advance the turns her attacker would take, which hallways and doors he would traverse, their destination was as unknowable as a faraway galaxy. And that meant her taking would be untraceable. She would be unreachable to searchers. To would-be rescuers. To her family— and that realization terrified her more than being grabbed out of her bed. More than the flashes of imagined cruelty she would suffer away from the protection of the people who loved her. More than death. “Go back,” she said, but by this time her throat was raw, her voice weak. Temporarily out of sight, her son yelled, “Mom!” His seven-year-old voice was almost lost in the shrillness of his panic. He appeared on the landing. His socked feet slipped on the hardwood floor and he went down. Behind him, his little sister stopped. She was frightened and confused, too young to do anything more than follow her brother. He clambered up and started to run again. The boy’s father had something in his fist: the lamp from his nightstand! He past the boy in the hallway. His bare feet gave him traction. She caught a glimpse of the bizarrely shaped light fixtures on the corridor walls—mostly carved faces with glowing eyes. The bulbs flickered in time with her racing heart. She could not remember any of the lights doing that before. It was as though the electrical current running through the wires was responding to a disruption in the way things were supposed to be, a glitch in reality. “Henry,” she said, pleading, hopeful. His grip tightened as he stumbled along behind them. He brought the lamp’s heavy base down on her assailant. If the man carrying her flinched, she did not feel it. If he grunted or yelled out, she did not hear it. What he did was stop. He spun around so quickly, the woman’s husband lost his grip on her. And now facing the other direction, she lost sight of him. Being suddenly denied her husband’s visage felt like getting the wind knocked out of her. She realized he was face to face with the man who’d taken her, and that felt like watching him step off a cliff. She tasted blood. She’d bitten her tongue. She opened her eyes. Henry was crumpled on the floor, receding as she was carried away. The children stood over him, touching him, calling him. Her son’s eyes found hers again. Determination hardened his jaw, pushed away the fear . . . at least a measure of it. He stepped over his father’s legs, coming to her rescue. Henry raised his head, weary, stunned. He reached for the boy, but missed. Over the huffing breath of the man, the soft patter of her son’s feet reached her ears. How she’d loved that sound, knowing it was bringing him to her. Now she wanted it to carry him away, away from this danger. Her husband called to him in a croaking, strained voice. The boy kept coming. Her assailant turned again, into a room—one of the small antechambers, like a mud room before the real room. He strode straight toward the next threshold. “Mom!” Panic etched old-man lines into his young face. His eyes appeared as wide as his mouth. He banged his shoulder on the jamb, trying to hurry in. “Stay!” she said. She showed him her palms in a “stop” gesture, hoping he would understand, hoping he would obey. She took in his face, as a diver takes in a deep breath before plunging into the depths. He was fully in the antechamber now, reaching for her with both arms, but her captor had already opened the second door and was stepping through. The door was swinging shut behind him. The light they were stepping into was bright. It swept around her, through the opening, and made pinpoints of the boy’s irises. His blue eyes dazzled. His cheeks glistened with tears. He wore his favorite pajamas—little R2D2s and C3P0s all over them, becoming threadbare and too small for him. “I—“ she started, meaning to say she loved him, but the brute bounded downward, driving his shoulder into her stomach. Air rushed from her, unformed by vocal chords, tongue, lips. Just air. “Moooom!” her son screamed. Full of despair. Reaching. Almost to the door. “Mom!” Toria yelled. ”Make him give Wuzzy back!” She grabbed for it. Xander turned away from her, tucking Wuzzy between his body and the car door. Outside his window, nothing but trees—as he had said and Wuzzy had agreed. It reminded him of a movie, as almost everything did. This time, it was The Edge, about a bear intent on eating Anthony Hopkins. An opening shot of the wilderness where it was filmed showed miles and miles of lush forest. Nothing but trees. A month ago, his dad had announced that he had accepted a position as principal of a school six hundred miles away, and the whole King family had to move from the only home Xander had ever known. It was a place he had never even heard of: Pinedale, almost straight north from their home in Pasadena. Still in California, but barely. Pinedale. The name itself said “hick,” “small,” and “If you don’t die here, you’ll wish you had.” Of course, he had screamed, begged, sulked, and threatened to run away. But in the end here he was, wedged in the back seat with his nine-year-old sister and twelve-year-old brother. The longer they drove, the thicker the woods grew and the more miserable he became. It was bad enough, leaving his friends, his school—everything!—but to be leaving them for hicksville, in the middle of nowhere, was a stake through his heart. “Mom!” Toria yelled again, reaching for the bear. He frantically squeezed Wuzzy’s paws, but could not make it stop. The controls in the bear’s arms weren’t working. Frustrated by its continuous one-word poking at his brain—and a little concerned he had broken it and would have to buy her a new one—he looked to his sister for help. She wasn’t grabbing for it anymore. Just grinning. One of those see-what-happens-when-you-mess-with-me smiles. Xander was about to show her what happened when you messed with him—the possibilities ranged from a display of his superior vocal volume to ripping Mr. Wuzzy’s arms right off—when the absurdity of it struck him. He cracked up. “I mean it,” he laughed. “This thing is driving me crazy.” He shook the bear at her. It continued yelling for their mother. “Xander broke Wuzzy!” Toria whined. “He won’t turn off.” She pulled the bear out of Xander’s hands. The furry beast stopped talking: “Mo—” Then, blessed silence. “He only likes me,” Toria said, hugging it. “Oh, brother,” David said. He went back to the PSP game that had kept him occupied most of the drive. “Don’t start that,” his father warned from behind the wheel. He angled the rearview mirror to see his son. “What?” Xander said, acting innocent. “Well . . . .” Xander said. “You know. It’d be a safe car for me.” A ten-year-old Toyota 4Runner wasn’t his idea of cool wheels, but it was transportation. “He is,” Toria chimed in. “He said he’ll never get a car,” Toria said. Silence. David’s thumbs clicked furiously over the PSP buttons. Xander was aware of his mom watching him. If he looked, her eyes would be all sad-like, and she would be frowning in sympathy for him. He thought maybe his dad was looking too, but only for an opportunity to explain himself again. Xander didn’t want to hear it. Nothing his old man said would make this okay, would make ripping him out of his world less awful than it was. “Dad, is the school’s soccer team good? Did they place?” David asked. Xander knew his brother wasn’t happy about the move either, but jumping right into the sport he was so obsessed about went a long way toward making the change something he could handle. Maybe Xander was like that three years ago, just rolling with the punches. He couldn’t remember. But now he had things in his life David didn’t: friends who truly mattered, ones he thought he’d spend the rest of his life with. Kids didn’t think that way. Friends could come and go and they adjusted. True, Xander had known his current friends for years, but they hadn’t become like blood until the last year or so. That got him thinking about Danielle. He pulled his mobile phone from his shirt pocket and checked it. No text messages from her. No calls. She hadn’t replied to the last text he’d sent. He keyed in another: “Forget me already? JK.” But he wasn’t Just Kidding. He knew the score: Out of sight, out of mind. She had said all the right things, like We’ll talk on the phone all the time; You come down and see me and I’ll come up to see you, okay? and I’ll wait for you. Yeah, sure you will, he thought. Even during the past week, he’d sensed a coldness in her, an emotional distancing. When he’d told his best friend, Dean had shrugged. Trying to sound world-wise, he’d said, “Forget her, dude. She’s a hot young babe. She’s gotta move on. You too. Not like you’re married, right?” Dean had never liked Danielle. On his mental list of the reasons to hate the move to Pinedale, he moved on to the one titled “career.” He had just started making short films with his buddies, and was pretty sure it was something he would eventually do for a living. They weren’t much, just short skits he and his friends acted out. He and Dean wrote the scripts, did the filming, used computer software to edit an hour of video into five-minute films, and laid music over them. They had six already on YouTube—with an average rating of four-and-a-half stars and a boatload of praise. Xander had dreams of getting a short film into the festival circuit, which of course would lead to offers to do music videos and commercials, probably an Oscar and onto feature movies starring Russell Crowe and Jim Carrey. Pasadena was right next to Hollywood, a twenty-minute drive. You couldn’t ask for a better place to live if you were the next Steven Spielberg. What in God’s creation would he find to film in Pinedale? Trees, he thought glumly, watching them fly past his window. Mom reached through the seatbacks to shake Xander’s knee. “It’ll work out,” she whispered. “I said later, Dae.” His nickname came from Toria’s inability as a toddler to say David. She had also called Xander Xan, but it hadn’t stuck.